The ability to see what's happening inside a patient's body is crucial for accurate diagnosis and treatment. Lady of the Sea's Radiology Department has more than 11 technologies available to visualize the inner workings of each patient. From standard radiology to advanced techniques, our radiology department takes diagnosis and treatment planning to a whole new level. Digital mammography is part of the latest technology upgrade in diagnostic imaging services available with our Lady of the Sea board-certified mammography team. Our new digital system delivers accurate data with a quicker result time. Digital mammography allows physicians the ability to examine mammograms side-by-side for historical comparisons which leads to a more thorough result being delivered to the patient. 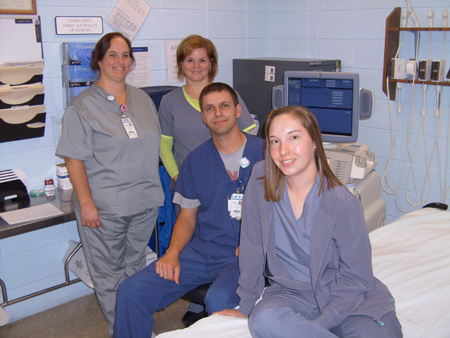 Our fully staffed radiology department is at the forefront of new advances in diagnostic imaging. We provide a full range of state-of-the-art diagnostic imaging and therapeutic services including MRI, CT, Mammography, Nuclear Medicine, Ultrasound, and interventional procedures. For patients, this means the most accurate diagnosis and treatment available and an increased chance for a long, healthy life. Each day our radiology department serves outpatients and inpatients in need of medical imaging and other radiology procedures. We offer exceptional quality in clinical services, images and diagnoses which are critical to determining your care and treatment. Patients choose Lady of the Sea because we offer compassionate care, close to home. Our radiology department is led by Dr. Sharm El Buras, Radiologist and Tracy Bourgeois, Radiology Manager and X-Ray Tech. Their uncompromising commitment to quality is experienced by our patients each day. Our staff is highly trained and patient-focused. We are experts in imaging technology and have recently upgraded two important pieces of equipment to complement our existing services. Our goal is to provide the finest in imaging services-the right procedure, at the right time for each patient. Lady of the Sea recently completed the installation of a new GE Computed Tomography (CT) Scanner from GE Healthcare. The BrightSpeed offers the latest in "multi-slice" CT technology, which allows Lady of the Sea's physicians to quickly and accurately perform multiple diagnostic exams. With the exceptional image quality, productivity and reliability of the new equipment, we are better able to provide all diagnostic imaging services right here in the patient's hometown. The new multislice scanner allows us to perform all of our routine studies and now we are capable of CT angiography of every organ system. The images are of the highest quality with excellent resolution and the speed is incredible. The CT exams we commonly perform are brain / sinuses, C-spine, neck, chest, pulmonary angiograms, abdomen, pelvis, CTA Aorta, CTA renal arteries, as well as bone, spine and extremity work. 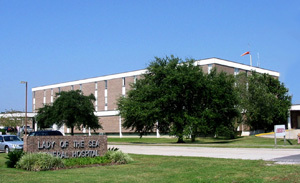 The just released Philips Brightview Nuclear Gamma camera was installed at Lady of the Sea at the end of 2007. This camera contains two detector heads, which allows for quicker imaging on some studies. With the dual-cameras and advanced software, we are capable of producing 3D imaging. The wider imaging table allows for improved patient comfort during scans. With our nuclear medicine trained staff and equipment, we are able to perform bone scans, bone spect scanning, cardiac spect scanning, lung scans, gallbladder scans, kidney scans, thyroid scans and liver / spleen scans. We have the capability to do nuclear breast imaging, 3D imaging and stretcher imaging. Our new nuclear medicine equipment is upgradable, which made the investment more attractive today, since technology is improving in this field. "I am so excited about these two new pieces of radiology equipment that Lady of the Sea recently installed," said Dr. Sharm El Buras, Radiologist. "We want to make it clear to all patients that we are on par with the national cancer hospitals not only in terms of the equipment available in our department, but also our technologists and their advanced training." 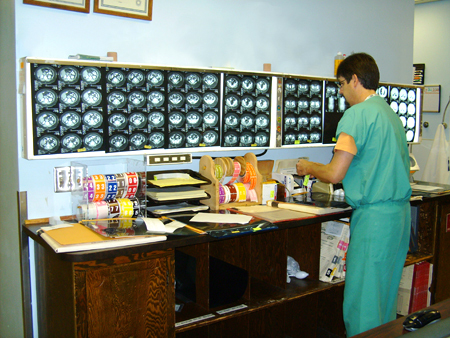 Magnetic Resonance Imaging (MRI) services are available regularly at Lady of the Sea. Hailed as one of the past decade's most important medical breakthroughs in terms of both image clarity and patient safety, the MRI uses a powerful magnetic field in conjunction with radio waves to cause hydrogen atoms or other selected elements in the body to give off faint signals, which are picked up and computer processed into various images. "These images are of such amazing clarity and detail that physicians are able to pinpoint brain lesions, identify problems of the spine, knee, wrist, heart, abdomen and other organs and tissue masses," says Tracy Bourgeois, Radiology Manager. At Lady of the Sea, our mission is to provide you with excellent patient care every day. We offer superb image quality from machines that are rated the highest in engineering. We look for patient-focused design to offer top quality comfort. More capability closer to home equals less time out of your busy schedule. At Lady of the Sea we truly bring you Compassionate Care, Close to Home.